USA Ultimate, the national governing body for the sport of ultimate in the United States and proud member of the U.S. Olympic Committee, and ESPN announced today a multi-year agreement whereby ESPN will present the sport’s premier event properties, including the Triple Crown Tour. As part of the agreement, ESPN will produce and distribute live coverage of four championship events – the College Championships, U.S. Open, Pro Championships (previously the Pro Flight Finale) and National Championships – on a variety of linear and digital platforms, including ESPN2, ESPNU and streaming live on the ESPN app. ESPN will distribute a total of 69 games, including 26 men’s games and 26 women’s games. 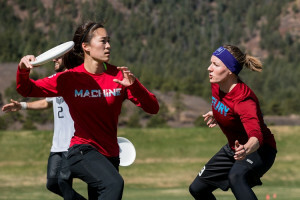 For the Triple Crown Tour events, which also feature a mixed gender division in addition to men’s and women’s, ESPN will distribute a total of 51 games – 17 in each of the three divisions. The Triple Crown Tour represents ultimate’s highest level of competition and consists of three major tournaments – the U.S. Open, the Pro Championships (previously the Pro Flight Finale) and the National Championships. Scheduled for Aug. 4-6 in Minneapolis, the 2017 U.S. Open will feature the world’s top 36 teams in three divisions – men’s, women’s and mixed gender – including teams from Canada, Colombia, Italy, Germany, Japan, the United Kingdom and the United States. ESPN’s programming from the U.S. Open will include four semifinal matchups and two championship games, streaming live on the ESPN app, plus one championship match, live on ESPN2. The 2017 Pro Championships will take place in Seattle, Sept. 2-4, and features the 24 teams in the Triple Crown Tour’s Pro Flight – the top tier of elite-level teams in North America – as well as two additional teams in each gender division who earn bids through their performance earlier in the Triple Crown Tour season. The three championship games (men’s, mixed and women’s) will be streaming live on the ESPN app. The National Championships represent the culmination of the Triple Crown Tour and is regarded as one of – if not the most – prestigious titles in ultimate. More than 600 club division teams pursue a spot at Nationals, with 48 teams – 16 in each of the men’s, mixed and women’s divisions – eventually qualifying. In 2017, the tournament will take place October 19-22 in Sarasota, Fla., where the four semifinal matchups and three championship games will be streaming live on the ESPN app. Previous Is New Sevens Rugby League Built For A Milennial Audience?